Next up in our collection of space-themed songs comes this East London punk obscurity from 1978. 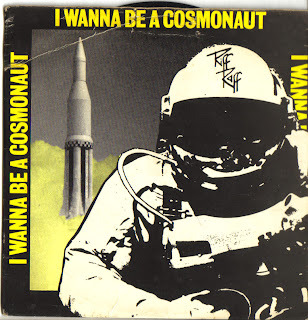 'I wanna be a cosmonaut' by Riff Raff (Chiswick Records) includes the lyrics: 'I should be starring, Just like Gagarin, There’s the place for me... I wanna be a star in USSR'. Other than being the first punk record from Romford, this is probably most notable for being the first outing on vinyl by one Mr Billy Bragg.